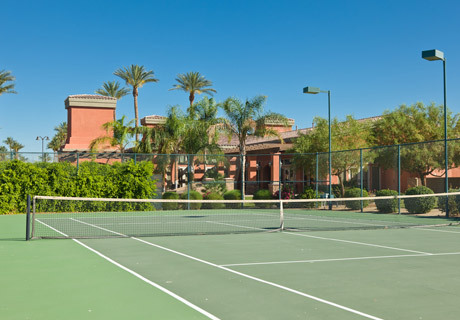 The resort has two tennis courts that are a great place for fun and fitness. They are well-lit so you can continue to play after the sun goes down. We owned a lot in Outdoor Resort in Cathedral City when we noticed a small sign on I-10 advertising the Vineyards. We loved the concept of the Casita. We were an early buyer.